(This is the first in a series of articles on the perils of added sugar. Be sure to check out the second article, “Fighting Sugar Cravings with Plant-Based Nutrition”). One of the hardest things for many people to give up on a plant-based diet is sugar. It’s a rare person in our society who doesn’t have some sort of sweet tooth and an associated soft spot for cookies, cakes, candy, chocolate, frozen desserts or unfortunately, soft drinks – a major culprit due to the sheer quantity of sugar they contain (e.g., 39 grams of sugar in one 12-ounce can of cola) and the fact that it’s easy to down the stuff in large quantities. In fact, soft drinks are the source of 33 percent of the sugar consumed in the United States, the highest single food source, followed by added table sugar, baked goods, and yes, fruit drinks. Energy drinks and sports drinks, while they may be marketed as healthy, also often contain very large amounts of sugar. But it’s not just sugary beverages that plant-based eaters need to be concerned about. Added sugars are everywhere in our modern, Western diet – another reason to stick with whole, unprocessed foods. Many so-called healthy foods, such as flavored yogurt and breakfast cereals, contain significant amounts of sugar. 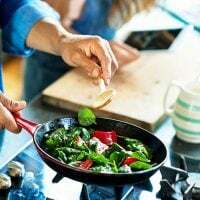 Even savory foods such as store-bought pasta sauce, soups, and breads, for instance, are likely to have added sugar in amounts that may surprise you. Be sure to read food labels carefully when purchasing processed foods. But whatever the form of sugar, and whatever you call it sucrose, fructose, glucose, sugar, corn syrup or the more benign-sounding “evaporated cane juice,” added sugar is just plain bad for your health and has no place in a plant-based diet. You can’t turn on the news these days without hearing about the unprecedented, epidemic levels of heart disease, diabetes, obesity and other sugar-related health issues plaguing not just adults but even, for the first time in history, children. In the second part of this article, we’ll take a good, hard look at the science behind so-called natural sugars such as honey, agave, maple syrup and brown rice syrup, among others, to see if they offer any health advantages over sugar and corn syrup. We’ll also look at the sugars contained in whole foods such as fruits and vegetables and how those affect our bodies differently than added sugars. While in the 1700s Americans consumed on average two pounds of sugar per year, Americans today consume on average a whopping 152 pounds of sugar annually! 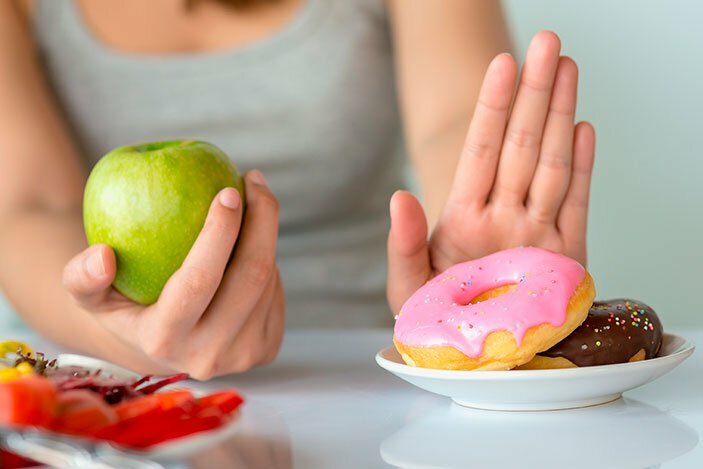 Whether or not you were actually eating that much sugar prior to going whole foods plant-based, due to sugar’s highly-addictive nature, you may find your willpower challenged when it comes to sugar – it’s not your imagination and it’s not your fault – it’s biochemical. 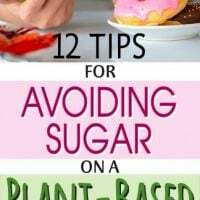 And while it may be true that sugar is derived from plants – either sugar cane, sugar beets or corn – in the case of corn syrup – these types of sugars are not whole foods, they are instead highly-processed in food manufacturing facilities. As well, vegans may want to know that the char of animal bones is often used to bleach and filter cane sugar. The truth is that sugar can kill. It’s not just a high-caloric food with zero nutritional value, as if that weren’t bad enough. 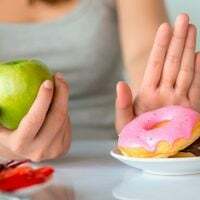 The science increasingly shows that excessive sugar consumption is one of the biggest culprits when it comes to heart disease, the leading cause of death for both men and women in the United States. For instance, a 15-year study published in the prestigious Journal of the American Medical Association revealed that people who consumed 25 percent of their daily calories in the form of sugar were more than twice as likely to die from heart disease compared to those who consumed 10 percent or less of their calories from sugar. Overall, the odds of dying from heart disease paralleled the amount of sugar in one’s diet. But as mentioned earlier, increased risk of heart disease is hardly the only concern when it comes to added sugar. Cavities, weight gain, metabolic syndrome and diabetes, fatty liver disease and other conditions, even an increased risk of breast cancer, are associated with sugar consumption. And while sugar may not yet be implicated in an increased risk of other cancers, what sugar does to your waistline, according to the MD Anderson Cancer Center at the University of Texas, most certainly does put you at greater risk. It’s a lot to think about but an awareness of the toxic effects of sugar on your body could prolong or even save your life. Next time you want to reach for some sugary dessert or soft drink, take a deep breath, pause, and consider the consequences. Don’t start. Don’t take that first bite or sip. Remember that because of sugar’s addictive properties, even a small amount can set you up for a binge. Know thyself. Don’t buy it! While it’s easy to be tempted while shopping and marketers are highly-skilled in making processed junky foods appear healthy, don’t fall for it. Stick with whole plant foods – shop the perimeter of the store, as they say – and don’t bring home anything that you know you don’t want to eat. Shop on a full stomach. You’re more likely to succumb to temptation when you’re hungry. Eat dark, leafy greens and other foods, such as nuts, seeds, brown rice, quinoa, and avocado, that are high in magnesium, which can help reduce sugar cravings. Keep healthy snacks such as whole fruits, nuts, seeds and kale chips on hand and easily accessible. Turn to naturally sweet foods and spices such as coconut, cinnamon, corn, sweet potatoes, and, of course fruit, when you’re having cravings. Eat a healthy meal prior to attending parties or going anywhere where you know you’ll be tempted. If you’re going to buy processed foods, be sure to read the label to check for added sugar. Weigh yourself daily. Closely monitoring your weight can help you stay conscious of what you’re eating. Stay hydrated. Dehydration can lower levels of the feel-good neurotransmitter serotonin and cause food cravings. Explain your intentions to family and friends and ask them to support you by not offering you sugary foods and drinks. Exercise! Research has shown that short bouts of physical activity may reduce sugary snack cravings in overweight people. Overcoming longstanding habits such as sugar cravings or addiction is not easy, but you can do it! Be patient and forgive yourself if you succumb to temptation, remember, this is not just about willpower, it’s about biochemistry. Try some of the tips above and please be sure to let me know what works for you – I love success stories! This is great information. 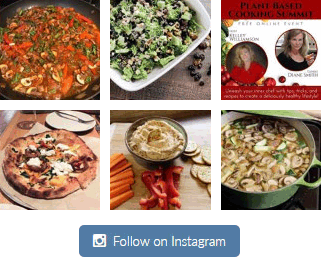 I would really like to learn more about plant-based cooking so my family can be healthier. My teenage daughter has been bullied for being overweight and I want to help her by changing our eating lifestyle. This goes for me and my husband. Can you direct me to more helpful information? Hey there, I’m so sorry to hear about your daughter, that’s a tough one. It’s great you’re brainstorming on ways to help. If you and your husband are making changes I’m sure that will help her, not only because you’ll be role models, but you’ll also be offering new food choices. There are a lot of articles on the website here and the “Start Here” page may be a good place to begin, especially the “steps” articles. 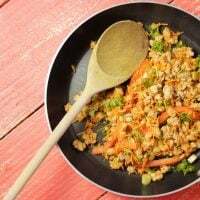 I think the easiest way to start is with transitioning recipes you already love to ones that are healthier. 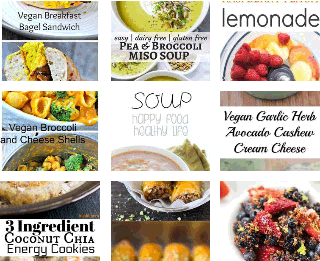 You can look through the recipes on this site and of course, there are many that offer delicious plant-based meals. And, make a meal plan (you could use my free meal planner) to keep you on track. As for cooking, think about cutting back on all added oil and fat because they have the most calories. If you like to read, I would recommend Dr. Joel Fuhrman’s book, “The End of Dieting,” because it’s one of the easier ones to implement without a lot of fuss. I hope some of this is helpful. I suppose it can feel overwhelming at first. What aspect do you think is the most challenging and I can steer you in the right direction for an answer?